My parents have a wood burning stove in their house. When they get a delivery of wood, my sisters and I go over to help stack it with my dad. I found this piece of wood with a large whole in it in the pile. 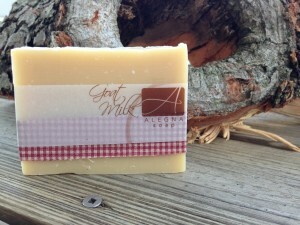 I thought it might look nice with my Goat Milk soap in front of it. I still have the wood. I think I owe my dad some soap for it. 🙂 What do you think?